Establish the right habits to achieve success week after week, quarter after quarter and year after year. Plan Rhythm: A rhythm of planning that will allow you to choose the right priorities and get your departments or divisions aligned. 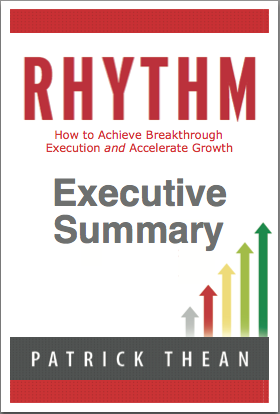 Do Rhythm: A rhythm of executing your plan and making your team accountable to make critical adjustments every week.